WB 150 power brush 26432370 https://www.kaercher.com/ie/accessory/wb-150-power-brush-26432370.html The Kärcher WB150 pressure washer brush is the perfect attachment for cleaning delicate surfaces such as car exteriors, motorbikes, glass, garage doors and conservatories. 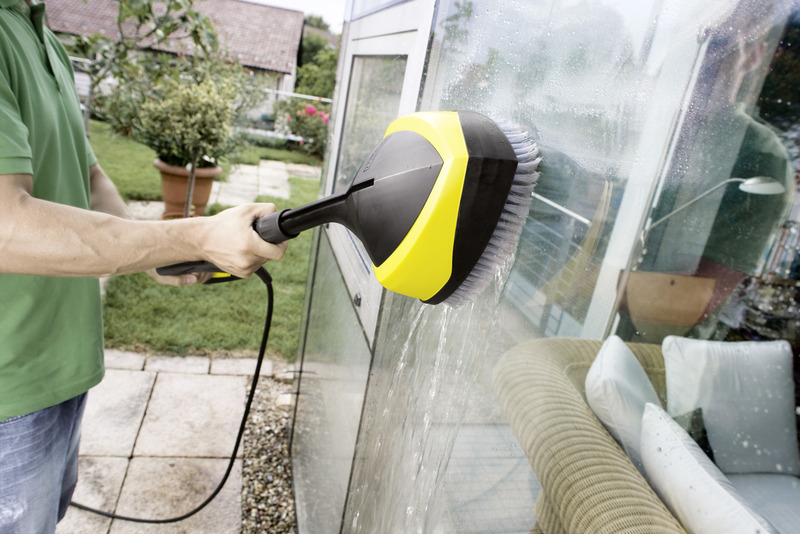 A Kärcher pressure washer helps you tackle a wide range of outdoor cleaning tasks, from stonework and walls to wooden decking and the more delicate paintwork on cars, bikes and boats. 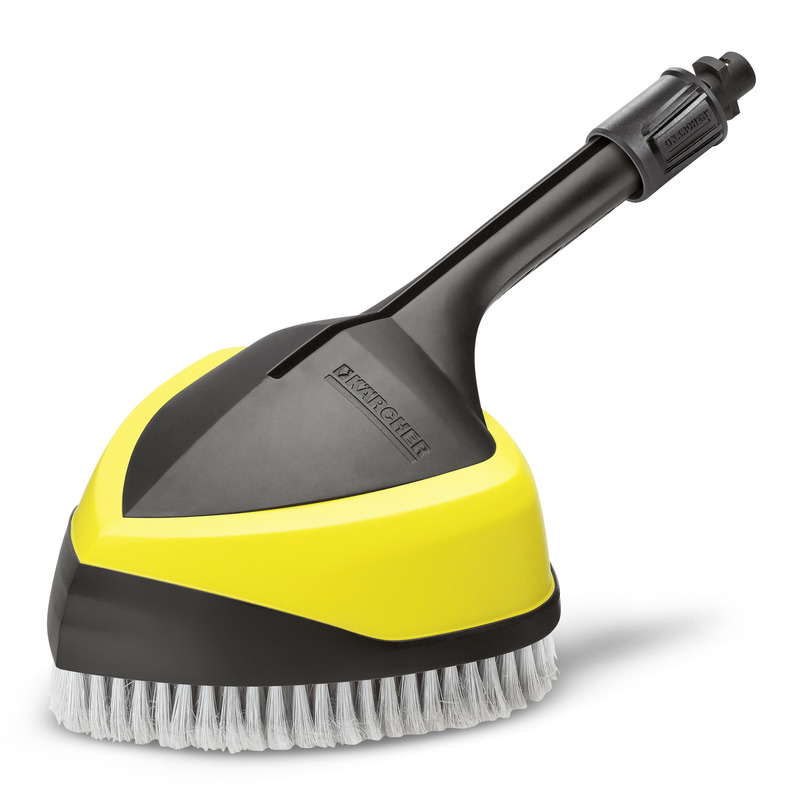 The Kärcher power brush is ideal for these more delicate jobs – as well as cars, motorbikes, caravans and boats it can also help you achieve the perfect finish on glass, garden surfaces, conservatories, garage doors, shutters, blinds, garden furniture and bicycles. 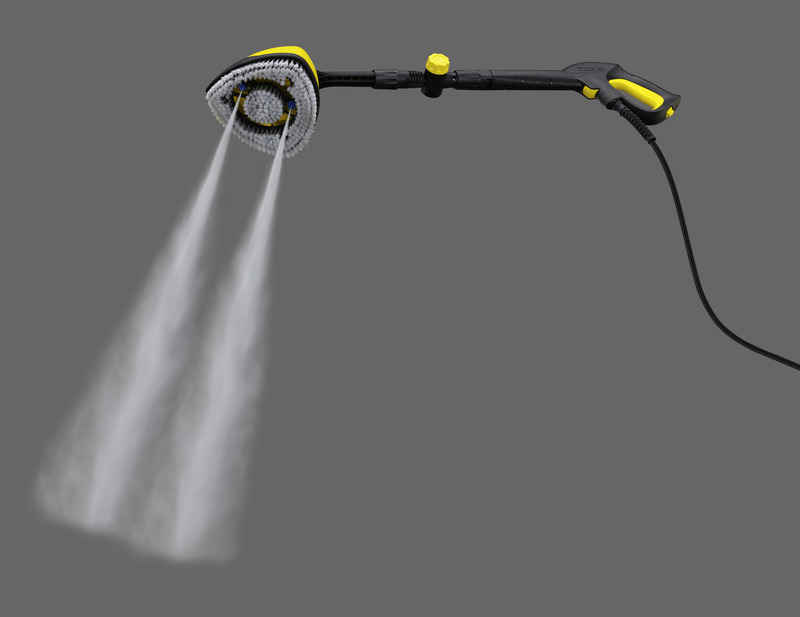 The brush uses two rotating flat jet nozzles that can get rid of even the most stubborn stains and dirt, combining the water pressure you need with soft bristles that are gentle and precise. 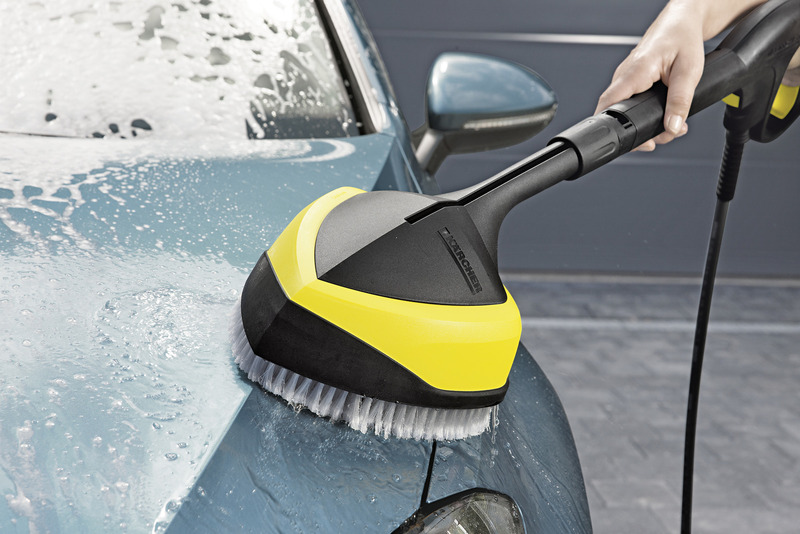 Using the Kärcher power brush can result in a significant saving of both energy and water, which can make it a greener way of cleaning the car as well as saving you money. The pressure washer brush can also save you time while ensuring you get a gleaming finish. The Kärcher WB150 is suitable for all Kärcher pressure washers of the K2 - K7 classes. Saves 30% time, energy and water. Ideal for cleaning small areas or in hard to reach places. WB 150 power brush is rated 4.3 out of 5 by 6. Rated 4 out of 5 by JohnP from First Car Pressure Wash First use made light work of cleaning the car, although a cloth and bucket of water was needed to finish off. Rated 4 out of 5 by Kerouacfan from Pricey but makes life easier I wanted a different brush for washing my car rather than the ten pound brush that came with my pressure washer. This has jets spraying water too so makes shampooing and washing quicker and easier. It's a big brush and feels well-made and it covers a decent surface area quite quickly. Rated 5 out of 5 by Alan1 from Big Brush It does the job, took a bit to get the hang of it but I am happy with it.